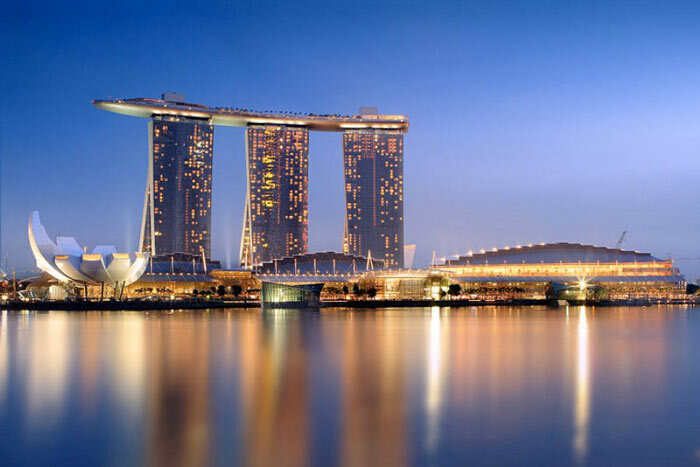 The most expensive hotel & casino is not in the gambling capital of the world Las Vegas, as one might rightly think, but in Singapore, and it is called Marina Bay Sands. 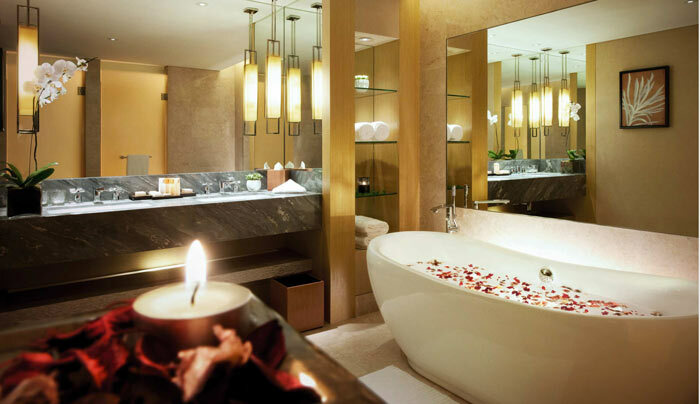 The complex was developed by a Las Vegas company (Las Vegas Sands Corporation), and it cost a staggering $8 billion. 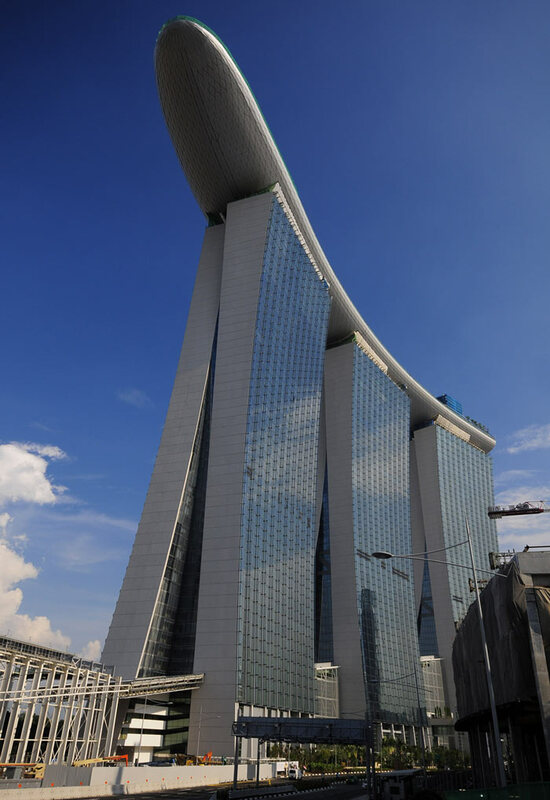 The developers say that Marina Bay Sands was “one of the world’s most challenging construction projects and certainly the most expensive stand-alone integrated resort property ever built”. 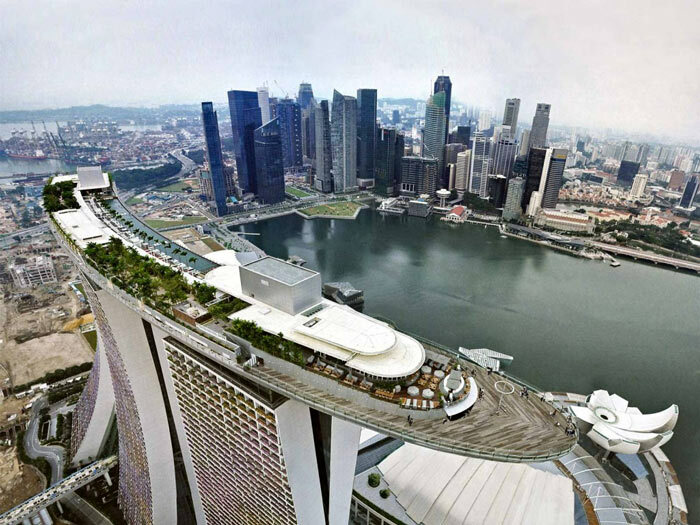 The hotel complex stands in the heart of Central Business District in Singapore and dominates the city’s skyline with its striking futuristic features, and spectacular architecture. 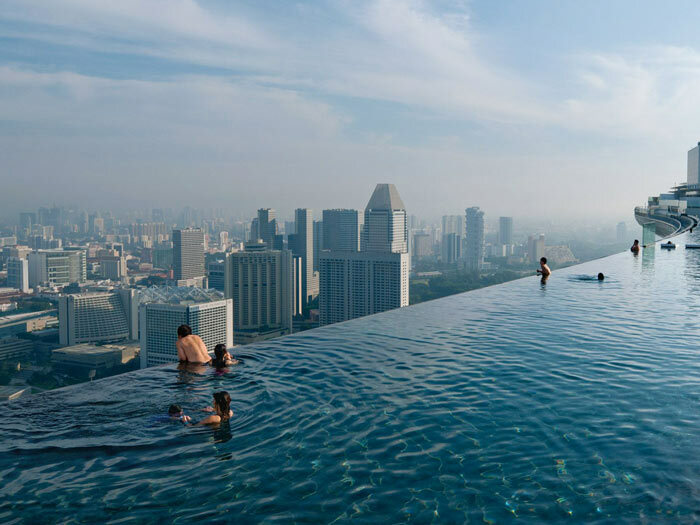 The entire resort was designed by Moshe Safdie, an Israeli / Canadian architect, best known for his work on the Habitat 67 project in Montreal, Canada. 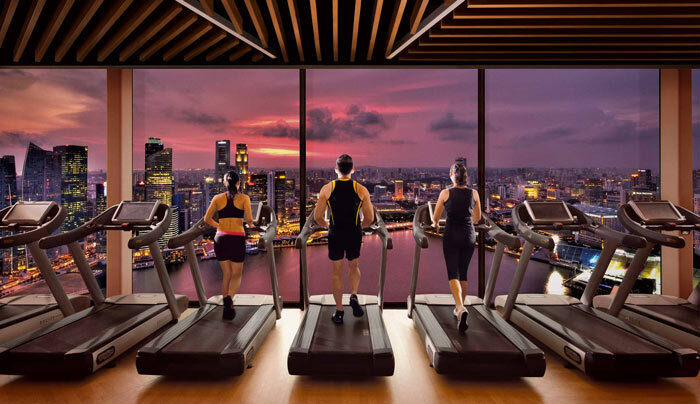 The complex comprises of three hotel towers, which are connected by a huge sky terrace on the 57th floor called Sands SkyPark. 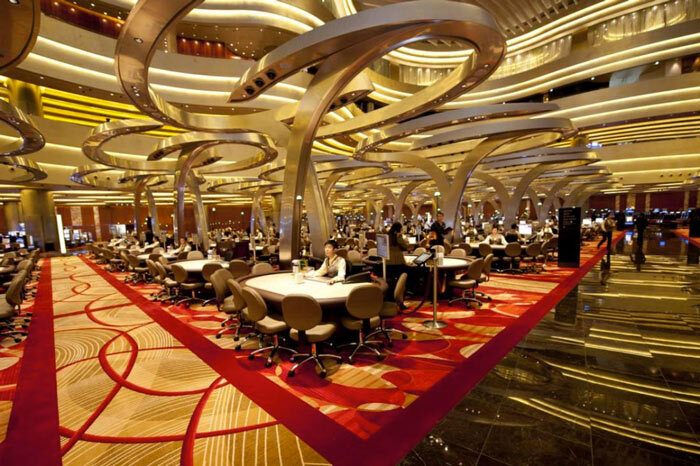 The area in front of the three towers is occupied by a theatre block, convention and exhibition facilities, a casino (with over 1,000 gaming tables and 1,400 slot machines), and the ArtScience Museum which shape resembles a lotus flower. 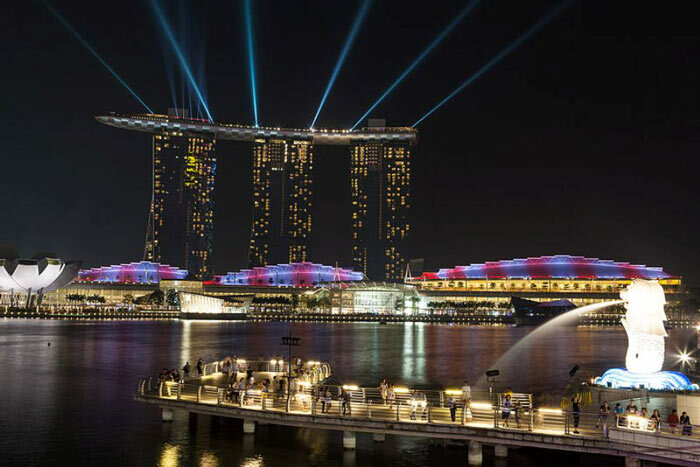 There is a also a spectacular light & water show called the Wonder Full Show, the largest multimedia show in Southeast Asia. The show is screened on three 2,000 square-metre-screens via 15 high-powered lasers, 30 searchlights, and 9 HD video projectors. It uses a half a million watts of light and has 250,000 LEDs. 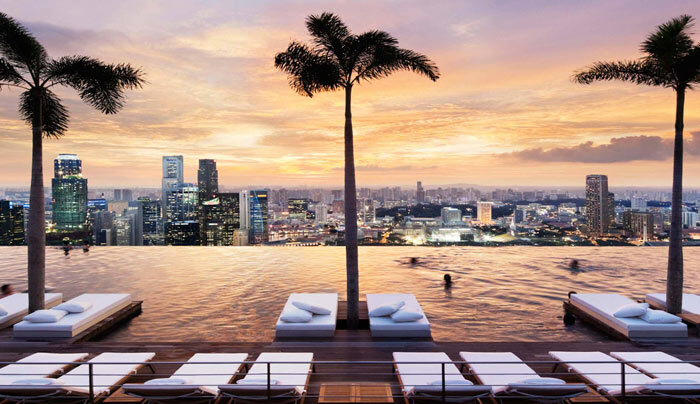 The Marina Bay Sands Hotel has 2,561 rooms and suites, the longest elevated infinity swimming pool in the world (standing at 191 metres above the ground), 93,000 m2 of shops selling major designer brands (Gucci, Chanel, Cartier, Dior), six high-end restaurants with Michelin-star chefs, two theatres, and a skating rink.